Denny Jump (Bellevue, WA, United States) on 12 January 2015 in Lifestyle & Culture. It has been quite awhile since I posted images from Bodie. 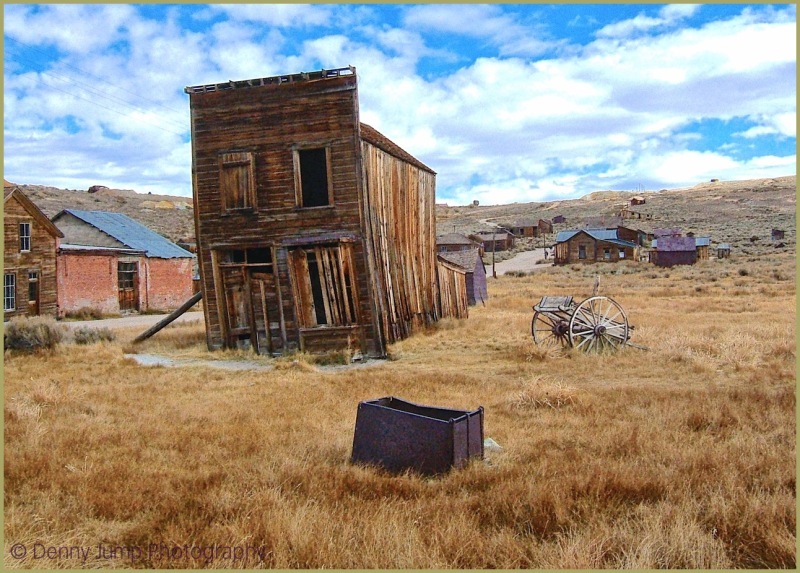 Located in California on the eastern side of the Sierra Nevada Mountains (almost due east from Yosemite National Park), Bodie is one of those places that you see once and, perhaps, you do not quite grasp the aura and nature of the place. But I guarantee you, if you take as many photographs as you can, and learn as much as possible while you visit, you will review your images, as I have, and each time you do, the feeling of this place will return to your heart even stronger than the last. A town filled with memories - a place filled with dreams now gone. I doubt the place has changed much in just another nine years and, yes, I started digital with a little Fuji and the shots still hold up today. Happy week, Denny. @Ronnie 2¢: Hi Ronnie - Thank you :-) It is a fantastic place and surrounded by many other locations to visit (although it might not seem so by this view) I wish I still had that little Fuji E550 :-) All the best to you both. @Doug: Thanks so much, Doug. There is a fair amount more to see than this shot,even. I will post a few more before we leave Bodie :-) All the best to you and yours. This is gorgeous! I would like to visit that place, looks very interesting. Wow, Denny ... awesome photo and what a neat place ... very interesting and a great mood! One of my most favorite places! Want to go back! Reminds me of the set from Clint Eastwood's High Plains Drifter. it looks pretty good indeed! i like the tones, the composition and the details that you captured throughout - definitely a keeper that stands the test of time! A super shot of one of the places I must visit. Nice image and a very interesting subject. I love the building in the foreground best.